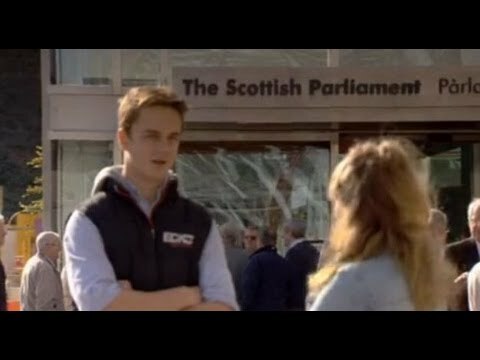 As a Member of the Scottish Youth Parliament, I have an in-depth interest in politics and am keen to hold our decision-makers to account. But I’m concerned that there aren’t enough young people who feel the same, and believe there is a widespread apathy among teenagers when it comes to politics. Next year, when the Scottish Independence Referendum is held, 16 and 17-year-olds will be given a unique chance to vote. I believe that if young people are encouraged to take up that opportunity, they will be more likely to continue to get involved in the democratic process throughout their lives. Along with my fellow Fixers Scott Redmond and Finlay Duff, I want to show that politics is accessible to young people, encouraging more of them to make their votes count. Blair Jenkins, who leads campaign group Yes Scotland, supports our Fixers project. He was interviewed for our broadcast piece for ITV news. Blair McDougall, who leads campaign group Better Together, supports our Fixers project. He was also interviewed to appear in our film for ITV news. Members of Scottish Borders Council are backing our Fixers project. Councillor Stuart Marshall﻿﻿ features in our TV piece.